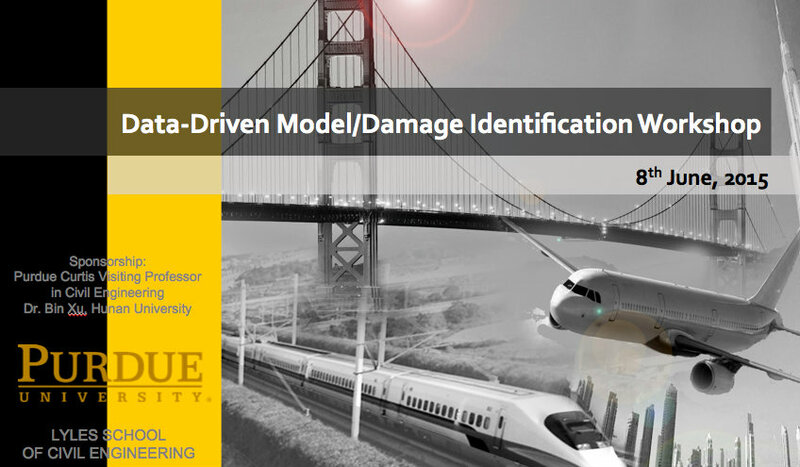 A workshop was held at Bowen Laboratory June 7-8 to bring together an interdisciplinary group of experts in the area of data-driven modeling methods, especially those that focus on nonlinear system/model identification and damage detection to share experiences and foster opportunities. Model-based simulation has been a long standing objective, even a reality in some fields. However, when modeling the behavior of our infrastructure to extreme events this is just not possible yet. Uncertainties and gaps in knowledge still driving us to continue to do large amounts of testing. The workshop discussions focused on how to use existing data combined with unique approaches to inverse problems to take a fresh look at these problems. Purdue participants included students and faculty from both Civil Engineering and Mechanical Engineering. 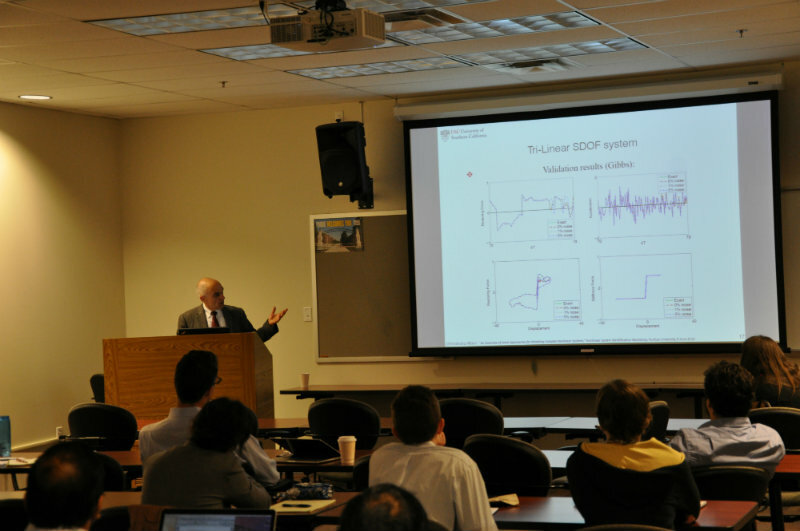 The workshop was financially supported by the Curtis Visiting Professor and Lyles School of Civil Engineering.